Alexandre Dreyfus greets me warmly in his Malta office for our 11 a.m. chat. The peripatetic poker entrepreneur is usually in motion or meetings; it's only thanks to Skype that we can work this out across eight time zones. That meant I had to be available at 3 a.m. local time in my office. We share a laugh about the relative inconvenience of 3 a.m. vs. 11 a.m. In my poker experience, 3 a.m. is prime time, when the game is just breaking up (or getting interesting). Some of my best interviews have taken place at 3 a.m. In contrast, I can still hear a poker pro incredulously ask, on learning a charity event's starting time, "You mean there's an eleven o'clock in the morning?" This interview focuses on Mr. Dreyfus' announcement of the details for the first GPI American Poker Awards. The ceremony will take place on February 27, 2015 at the SLS Hotel in Beverly Hills, California. 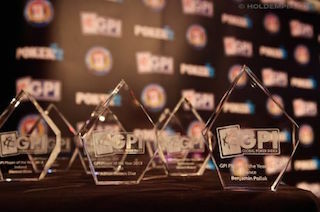 The event will present 14 awards, three based on 2014 Global Poker Index (GPI) rankings, nine in categories announced with four nominees per category, one (Poker's Best Ambassador) based on online voting, and a lifetime achievement award selected by a special jury. I have an additional agenda. First, how did Alexandre Dreyfus build the GPI, a ranking system in which I had a (modest) role in developing in 2011, into its position of influence? Second, how has he leveraged the GPI into ownership of an impressive series of assets including the Hendon Mob, Fantasy Poker Manager, European Poker Awards, American Poker Awards, Global Poker Conference, and the announced Global Poker Masters and Global Poker League? Finally, why does he believe he can unify the traditionally fragmented, parochial tournament poker world around his vision for poker's future? The American Poker Awards, taking place with the Global Poker Conference: North America, is part of Alex's bet on poker's future. He has initial sponsors for the events, PokerStars and watchmaker Roger Dubuis, but registration (limited to 200 guests) is free. Dreyfus recognizes the event will lose money this year, but he views it as "an investment for the future of poker, and the further legitimacy of the GPI." Mr. Dreyfus is certainly not doing all this out of economic necessity. 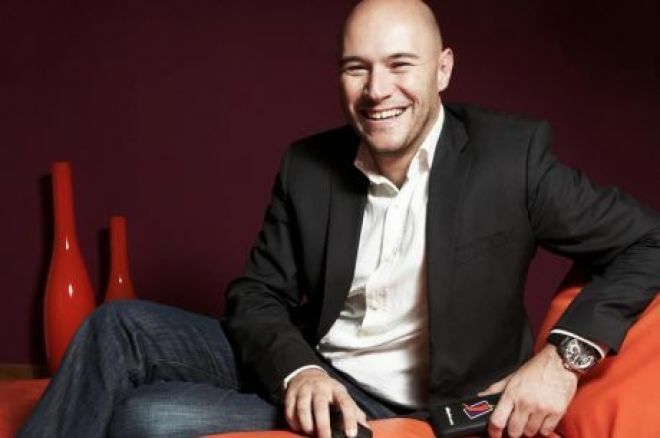 He started, developed, and sold a pair of poker companies, online gaming site Winamax (sold in 2006) and iGaming platform Chilipoker (sold to Bally in April 2012). He shrugs off these successes by saying "I’ve been very lucky, made some money." After 15 years as a self-described "geek entrepreneur," however, he could have escaped to an island someplace and let the poker business struggle along without him. In characteristic fashion, he went in the opposite direction. He had already moved to that island (Malta) and taking a break was not an option. "Unfortunately, I’m an entrepreneur and I decided to jump into another venture." Dreyfus bought the GPI in 2012, followed by the Hendon Mob information portal a year later. After two years sponsoring and co-organizing the European Poker Awards, he bought that as well. In the second half of 2014, he announced a dazzling series of initiatives (mostly with details to follow): the American Poker Awards; Global Poker Conferences held along with the American and European awards ceremonies; Global Poker Masters (a World Cup-style competition of players from eight national teams); and the Global Poker League (a team-format professional poker league). The vision behind these announcements — Mr. Dreyfus calls it "my leap of faith" — is to transcend the self-interests in the world of poker events and tours, casinos, and online poker sites. One of his favorite statements is that "Poker is an old game but a young industry." Correcting (but not contradicting) himself, he adds that "It's not even an industry, because every single initiative is supporting its own initiator." According to Alex, poker's growth in the cultural mainstream depends on getting all these self-interests to "move in the same direction." Poker is a fragmented and parochial business. "Organized baseball" is instantly understood. Even individual sports like tennis and golf have governing organizations. But "organized poker" is an oxymoron. On the other hand, Alex Dreyfus points out that he is not a competitor: he doesn't own a land-based casino, an online poker room, or a poker media portal. His goal is "not to RULE poker, but to promote poker." More important, his efforts are already starting to succeed in unifying the interests of some ferocious competitors. After two-and-a-half years, the GPI has earned industry-wide legitimacy. "We are used by the EPT, by all the PokerStars properties, by the WPT, most likely going to get used by the WSOP (they already use our data on their website)" and others worldwide. "How did we become legit? It's not about money. Money doesn't buy legitimacy. It's about the players and the industry stakeholders believing in the vision and the mission." Alex's strategy for announcing the American Poker Awards and Global Poker Conference: North America has likely won him some additional credibility. Leap-before-you-look is his philosophy, initially announcing the event last October without sponsors, nominees, categories, or participants. "I actually like to announce first because it puts the pressure on me to make it. I don't say, 'let’s prepare everything and announce it.' We always announce first to try to create buzz, to see if we get traction as well as endorsement of the industry. Then we deliver." The American Poker Awards' January 28 announcement of initial sponsors, categories, and nominees demonstrates a commitment to his goals of being "agnostic and neutral" and "to work with the whole ecosystem." That starts with the nominating process. The nomination panel consisted of sixty people, plus Mr. Dreyfus. The American Poker Awards Nomination Panel list spans the spectrum of tournament poker's competing interests in North America: tournament directors and executives, respected tournament poker pros, experienced writers and commentators from broadcast, print, and web media. The attempt to unite a variety of competing poker interests extends to the Global Poker Conference. (See the schedule for the Global Poker Conference: North America.) The panel discussions on February 27, a pair of panels on live poker (Live Poker in the Digital Era, led by Matthew Parvis; and The Future of Poker — Live Poker Leaders, led by John Caldwell); a panel on integration of live and online poker (Live & Online Poker: Two Industries in Harmony, led by Nolan Dalla); an Online Poker Snapshot: the Current State of Online Poker in the U.S. (led by Chris Grove); and a discussion led by Eric Raskin on the Players’ Perspective, featuring a panel of top pros. The united front by poker, if it succeeds, is intended to catch the attention of the mainstream media in North America. That is why the first American Poker Awards are not at a casino and not in Las Vegas. It was not a coincidence that Alex chose Los Angeles within a week of the Academy Awards. He hopes "to convince a few journalists who say 'hey, five days after the Oscars, there was the American Poker Awards' to help them build their case. To give those journalists an opportunity to talk about poker." The initial sponsors of the American Poker Awards, PokerStars and watchmaker Roger Dubuis, each play a role in Mr. Dreyfus' master plan. Despite poker's polarization among and within tours and venues, he points out why PokerStars is a good starting sponsor. He works with them, thinks they are smart, and yet is not afraid to criticize them. For a poker awards ceremony rewarding live events in North America, PokerStars has a bigger stake in promoting poker than promoting an outcome. "As the leading company in the world that is not present in the U.S., they don't have any exposure out of these awards because they are not nominated." In the two individual-player voting categories — Breakout Player of the Year and Tournament Performance of the Year — none of the nominees are Team PokerStars Pros. GPI Player of the Year and GPI Female Player of the Year are both based on GPI scores. The only nominee with a cited PokerStars connection is my friend Brad Willis, one of the nominees for Poker Media Content of the Year, for WSOP 2014 Stages/Never Stop Fighting for PokerStars Blog. Mr. Dreyfus has also scored a coup in landing high-end watchmaker Roger Dubuis as a sponsor. He met with the company's CEO, visited its manufacturer, and came away impressed. "I saw watches that cost $50,000, $300,000, $1 million, and I see why they are worth this money: the work, the talent, the skill, and the genius to make something so beautiful. I said, 'That’s the kind of partner I want.'" He convinced the company that the caliber of poker players competing for GPI Player of the Year shared those qualities in their work. A showman in the Steve Jobs style, Alex teased me with promises of more to come. Roger Dubuis is providing three bespoke La Monegasque timepieces: one each for the GPI Player of the Year at the American and European Poker Awards and "one for something else." He also reminded me at the conclusion of our interview that PokerStars and Roger Dubuis were INITIAL sponsors. The irresistibly quotable entrepreneur was uncharacteristically silent when I asked about his visit last week to Aston Martin headquarters. People who post their whereabouts on social media must find it difficult to keep secrets! 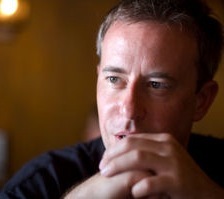 Michael Craig is an author, journalist, and lawyer. He has written four books, including The Professor, the Banker, and the Suicide King: Inside the Richest Poker Game of All Time. In addition to poker and gambling, he regularly writes about politics, law, sports, and finance. Follow him on Twitter (@mikecraigisamok) and Facebook. This article is part of a collaboration with PokerStars covering poker, online and casino games, and profiles of smart, interesting, independent risk takers.